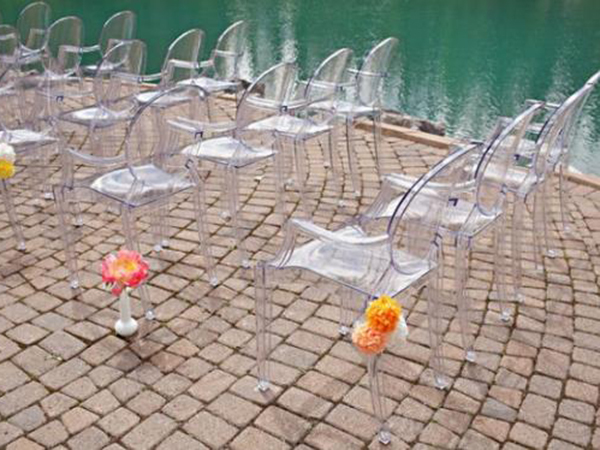 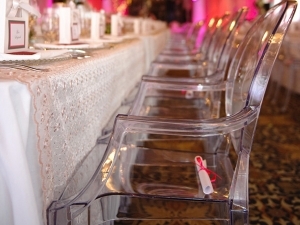 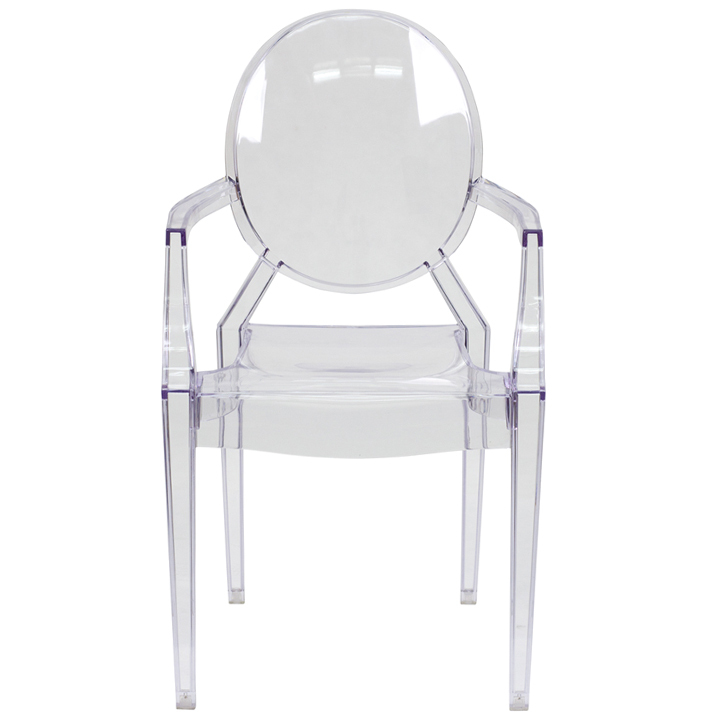 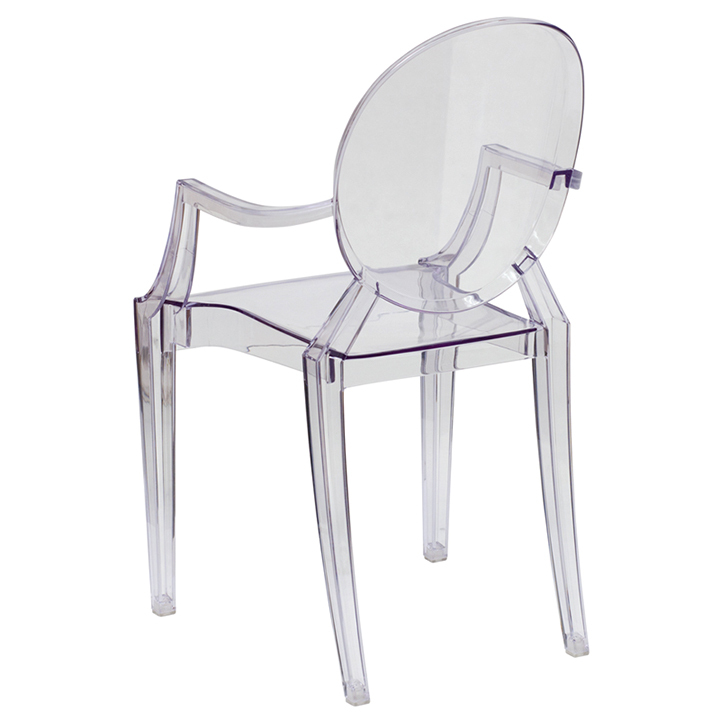 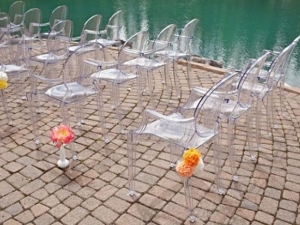 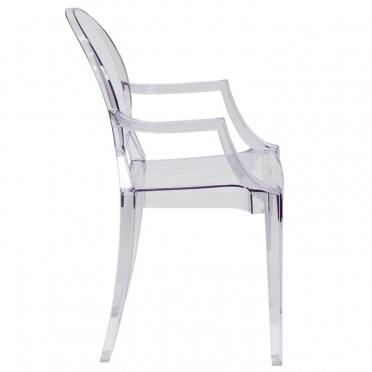 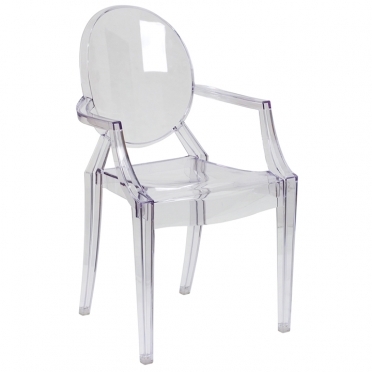 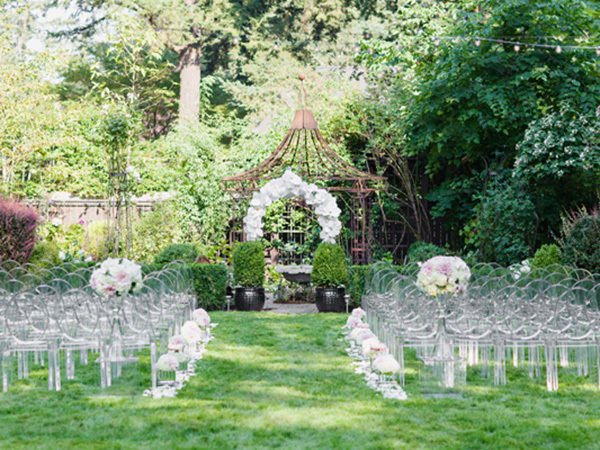 To bring innovation and extraordinary style to an event, consider a clear ghost chair with arms. 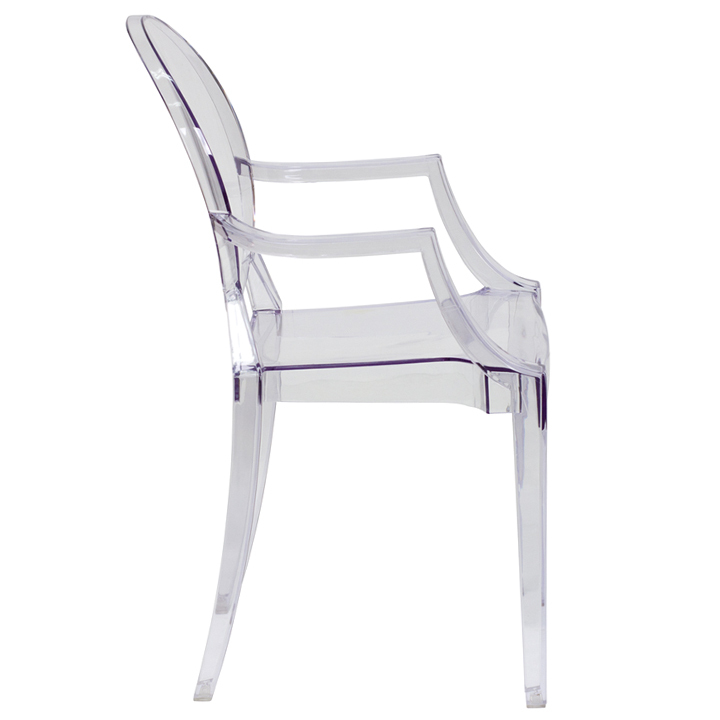 Thanks to the attractive lines, crystal-like appearance, and sleek design, it is a welcome touch to both exterior and interior celebrations. The arms provide extra support and refined elegance to any event. 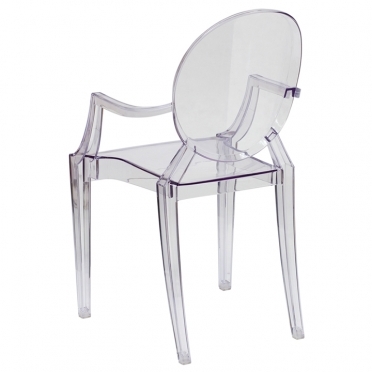 Constructed of a durable polycarbonate material, each chair offers an easy to clean seating option.